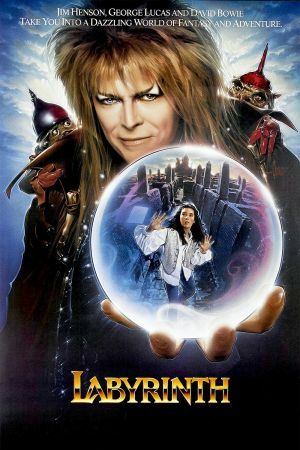 OK, so it's not The Princess Bride but we all have to live with life's little disappointments, and in terms of disappointments, having Labyrinth as my last film as Head Projectionist isn't really a major one. This mystical, magical, wonderful film full of muppets tells the story of Sarah (Jennifer Connelly) who makes the simple mistake of wishing that the Goblin King would steal her annoying brat of a baby brother. 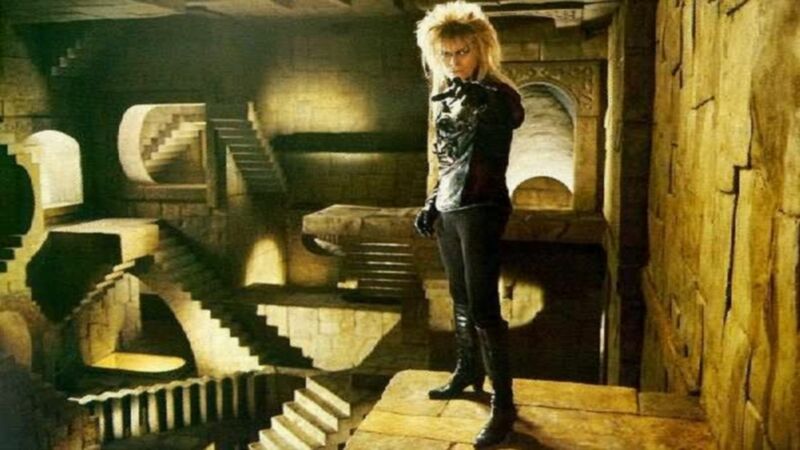 Unfortunately that's exactly what he does and she then has just 13 hours (courtesy of a 13 hour clock) to complete a pesky maze, find the castle at the centre of the Goblin city that's right out of an Escher painting, and get him back before the Goblin King turns him into a goblin. Easy. Well, not really when you have annoying little critters foiling your every plan, and David Bowie in scarily tight trousers and a very bad haircut trying his damndest to stop you whilst doing clever things with his balls. But every girl has to have her friends and here they come in the form of Ludo, the giant thing, Didymus, a fox who rides on a dog, Hoggle, who has a passion for plastic and a really cute ickle worm. Now this will probably be the point, if you've lasted this long, when a vast majority of you will throw your booklet down in disgust at the juvenile nature of it all, but give it a chance. And anyway, how often are you given the opportunity to enter a world that's got a pit full of hands, things that dance whilst juggling with their heads and a bog of eternal stench. This film is truly magical. Coming from those gods of animatronics, Jim Henson, the weird and wonderful creatures are in turn adorable and grotesque but always fascinating. You may have to suspend your disbelief a little but this is a Friday Night Movie and a couple of pints will help that no end. So come and celebrate the end of the season with a collection of furry things, and end up singing Dance Magic non-stop to really annoy your friends.